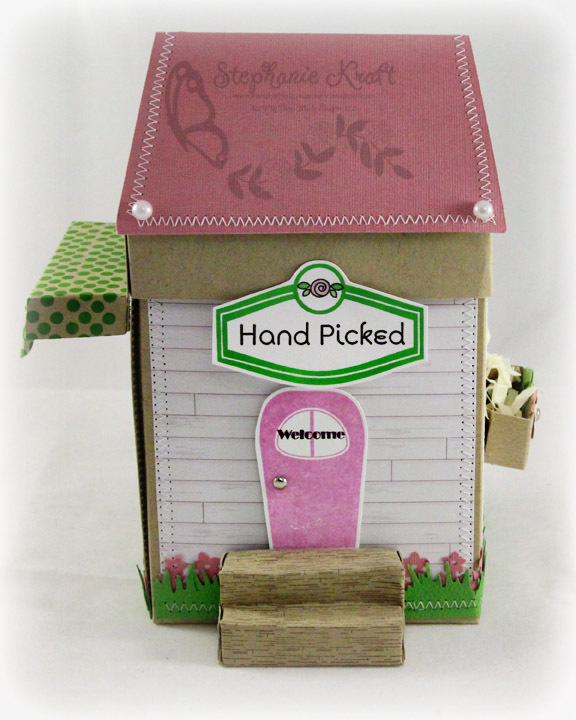 HandKrafted by Stephanie: MTME September Release Day!! Hello! Today is the My Time Made Easy ™ LLC Release and to celebrate we have a BLOG HOP with some hidden treasure! Each design team member is featuring a different themed house/Shoppe! You won't want to miss anyone!! Be sure you leave a comment on each design team member's blog today because TWO of the design team members are going to be picked to have someone from their blog comments WIN a $50 Gift Certificate to My Time Made Easy ™ LLC! NO ONE knows which two designers are hiding the treasure, so don't forget to stop by each design team members blog and leave a little love there. Include your email address-so you can be contacted if YOU are one of the lucky winners! Winners will be drawn September 3rd, and announced on Lauren Meader's Blog . Don't miss viewing all our NEW! Release items---> HERE. Stop by and view our NEW! Gallery!! For my project today, I used the Shop Around © and Shop Around Accessories © mega template to make a Flower Shop. I also used the Homemade Card and Envelope © cut file to make a matching card. The base of my shop is cut out of Couture Oat cardstock. 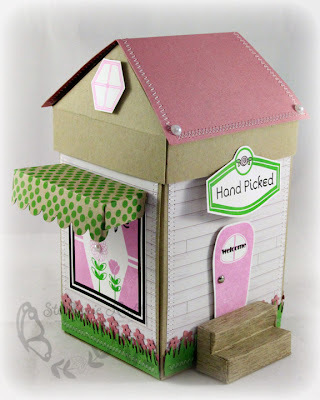 I used Sara's painted wood siding digi paper to add the wood feel to my shop. On one side, I added a window and curtains (from Home Improvement ©). The flowers are from Sensational Stems ©. I added another accessory to this side (the awning over the window). Before I assembled it, I stamped the polka dots (from Home Improvement ©). On the other side, I added a third accessory to the shop, the Flower Box & Window. I also wanted to add something to the rear of the shop, so I used the window from Shoppe Window ©, added "Shoppe" (from Sign It ©) and stamped some silhouette flowers in the window (from Killer Curves ©). Finally, here's a view of the card (cut file includes card and envelope). I kept the card simple, adding "Let's Chat" from On Display © and the door/grass (from Home Improvement ©) directly on to my patterned paper. The card (left) slips into the envelope. I decorated the envelope to match my flower shop. Pretty Impressions Stamp Set: Home Improvement, Sign It, On Display 1, Shoppe Window, Killer Curves, Sensational Stems, You've Got Mail. Accessories: Flower Patch and Grass border punches (Martha Stewart), Markers (Copic), Pearls (Queen & Co), Flower brads (CTMH), Silver brads, Easter grass, Tiny rhinestones, Ribbon, Foam tape, Thread, Sewing machine. love the daintiness/femininity of this one! so pretty! Oh, I love the stitching on the roof! Oh my goodness Stephanie!! You've outdone yourself!! I love your sweet little awning and window box!! Too, too cute!! OMGosh -- I love the grass and flowers along the bottom, and all that sewing!! you're my hero!! :) Such a cute project Stephanie!! 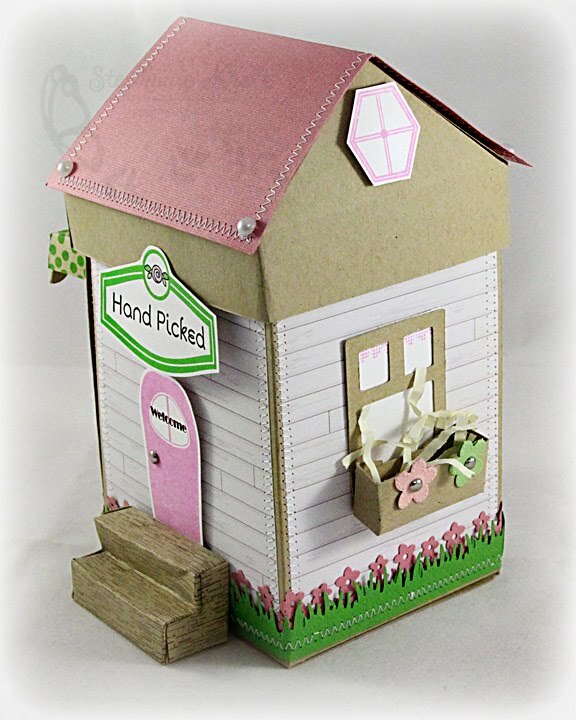 Really wonderful house and card. Love your walls, looks so realistic! OMGoodness Stephanie!!!! This shoppe is totally DARLING!!!! Love the colours and not to mention all that detailing!!! LOVE that awning - how fabulous!!! so sweet! I love the cheeriness of it! The awning and flower box are super cute on your house! preciosa tu casa, encantadores los detalles, cariños! 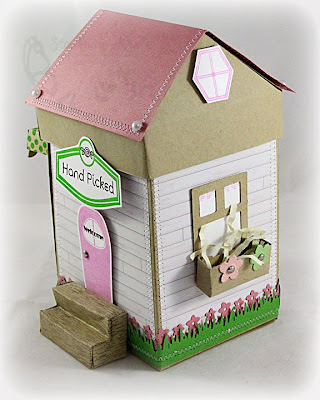 What a fun little doll house! Wow, I'm just in awe of all these projects! The flower border is super sweet, and I LOVE the stitching around the roof! What a cutie, love everyhting aout your flower shopee and matching card. The three silhouette flowers in the window looks like they're dacing...lol love it! thanks for sharing Stephanie. 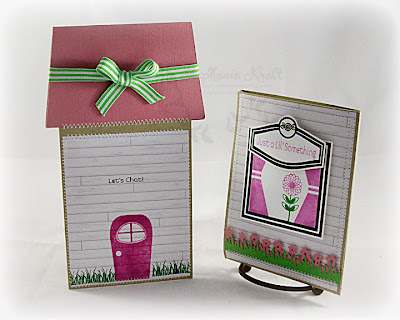 this is a sweet example of the template - so many great ideas on this blog hop. How sweet, just love this idea! Thanks for sharing your creativity with us all. Very cute! Love the window box - neat addition! This looks lovely, I love all the little flowers going around the outside. Very cute. Love the awning and the flower box too. What an adorable flower shoppe! I love the papers and the little flowers on the flowerbox outside the window. Love the awning and flower box. Cute idea. AHHH a flower show. That is so sweet looking. Love it!! I love the colors you chose for your flower shoppe. 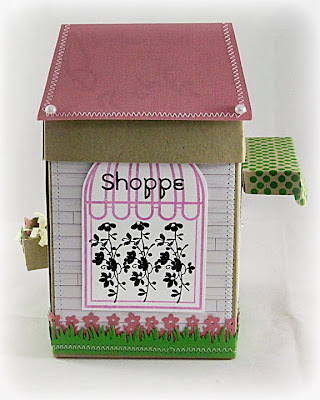 The details like your cute awning, flower box, windows and steps make your shoppe so unique. Your work is beautiful! That little window box is so cute!! Very cute project. Love the flowers around the house. So pretty. I am loving this cute little house. Thanks for sharing! Cute little house! Like the window box and awning. Very, VERY cute, with the awning & the window box; great colors too! Very cute--I love the polka dotted awning. The card and flower shoppe are fantastic. I love your creativity with the awning and flowerbox. So pretty Stephanie! Love the stitching on the roof and the welcome on the front door! It's a perfect fit! Lovely awning and flower box, too! Great job, girl! Very pretty house, love the colors! I love this sweet little flower shoppe! I think this wood siding is one of my favorites! Love your little window box-it's just the perfect touch! Such darling projects! I love these colors too. Your Welcome little Shop is sooo cute.The colors you used really look great.Nice job and thanks for sharing. Love all the tiny details! Great job!! Very cute. Love the designs and flowers in the window. Oh Stephanie...this is gorgeous! Love the details with the awning and flower bed...fabulous!! Oh this is so pretty! I love what you all doing with this mega template :). Very cute! Love the awning and the flower box. This is absolutely amazing--all the details are perfect. I am in awe. What a fantastic project! Sweet houses. Love the coordinating card. Wonderful project!!! Love the flower shop and love that the cars pulls out at the top! Love this sweet flower shoppe! I just love this template and coordinating sets. Your creations are great! I'm loving the blog hopping too. Such a great flower shop! I especially like the window box. Very cute little flower shoppe. Love it. cute, cute! Love the 3D flower boxes! good work! Flowers are my most favorite thing. Can never have enough. This is so cute. How cute is the awning and flower box?! That polka dot awning and flower box just had me smiling out loud - fabulous!!! Your little house just makes me smile! What a precious little flower shop! Great project, Stephanie. 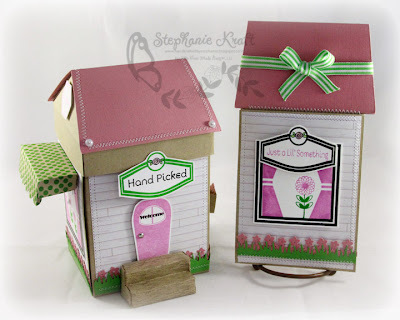 Love these fun little houses and your colors are SWEEEEET! So many houses so little time. Another great version. Ahh, this is super cute. I love the awning and the flower box. Thanks for sharing your awesome idea with us. I really like the dimension the awning and flowerbox add to your house. Lauren creates such amazing things, and you used them so well.